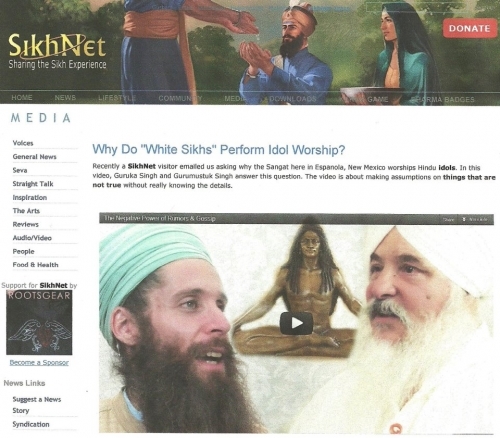 " SikhNetLeaks " for July 2013 reveals SikhNet continues to censor the truth about Yogi Bhajan ! SikhNetLeaks is a new group of Sikhs dedicated to exposing SikhNet's anti- Sikh practices in 3HO & Yogi Bhajan's tantric / kundalini yoga cult which SikhNet tries to censor or hide from Sikhs who follow the Sikh Reht Maryada. Join SikhNetLeaks by liking this video and expressing your support. Sikhs accept that life begins at conception. When will SikhNet stop promoting Yogi Bhajan nonsense about the soul entering the fetus of the mother at 120 days? All this Yogi Bhajan nonsense about the soul entering the fetus of the mother at 120 days is NOT based on any scientific evidence or religious history. There is nothing in Guru Granth Sahib which states that the soul enters the unborn child on the 120th day of pregnancy and you'll never find anything contained in Siri Guru Granth Sahib or in the history of the Sikh Gurus, which justifies the killing of an unborn child. Sikhs accept that life begins at conception (one reference is found on page 74 of the Guru Granth Sahib) (BBC). There are no references at all in Gurbani to this 120th day concept. Guruka Singh of SikhNet says: "Actually, this understanding (about the soul entering the fetus at 120 days) has been known and experienced from pre-vedic times, way before the Siri Guru Granth Sahib was compiled. It was assumed knowledge by the times of the Gurus since it had been known already for over 5,000 years. You can experience it yourself. Talk to a spiritual woman whose intuition is strong and who has been pregnant.."
Amar Prakash Singh of Austin, Texas replies: "This a very important question, because we don't take our answer from what was known in "pre-vedic times" or what was "assumed knowledge." The Granth is a total rejection of this Vedic or assumed knowledge. Where we look for your answer is what Guru's taught about the subject. In Guru Arjan's day time was figured by the lunar calendar. So by the solar calendar, what the above states is that 9 months after the soul enters the womb (conception) you are born. Why did SikhNet keep it a secret that part of Yogi Bhajan's ashes were scattered in the Ganges at Rishikesh after a ceremony performed by a Hindu swami? Was Yogi Bhajan really a Hindu?